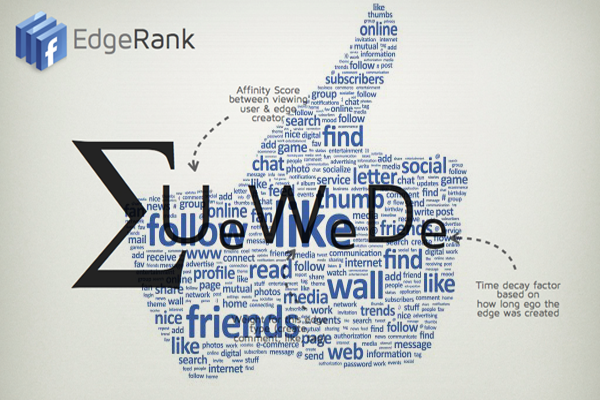 In our last post, I introduced you to the EdgeRank algorithm. This EdgeRank has to kept in mind while you write any blogs, articles or you are into social media marketing. Few unnoticed tips add the pinch of more popularity to your updates. User engagement is also important to make things go more smoothly and to be more viral among others. This will definitely help you to get more users who like the post from the same community you write for. Today, I want to share some ways which will help you to maximize your EdgeRank and thus, your impressions. Have specific goals with your content – Different brands are on Facebook for different reasons. Decide what your goals are and pursue them. The content that is uploaded should be in sync with the objective. Use photographs – It has been tested and seen that photographs get the maximum user engagement. Upload share worthy images on timeline and create engagement. Use ads – Promote pages to others or status updates within your community. Use combinations of advertisements and see results. Use Facebook questions – which will generate more participation. Use updates that will create comments. These small things such as comments and answers create a lot of edges. Related Post: How to download Wikipedia to access it offline. Keep your 32px creative – Thumbnail of your brand timeline is the one that travels to timelines of your community. Keep it interesting. But do not forget to showcase your brand in it. Optimize your headline – Keep changing and optimizing your headline from time to time. Keep it short, crispy and interesting. Time your updates well – Some brands engage well in Morning, others in evening. Do research on what is the best time for you brand and work accordingly. Related Post: Are you addicted to SEO analytics figures? Keep the above points in mind while creating content, and your EdgeRank will surly increase, thus increasing your impressions and engagement. Because in the end, on Facebook, content is the key. Nope …. my blog is on WordPress!